October 5th marks the 20th anniversary of a little-known festival that takes place at North Carolina's abandoned Land of Oz theme park. The derelict park opens its doors to the public just once a year for "Autumn at Oz," where former employees and past visitors reminisce about this weird little amusement park. 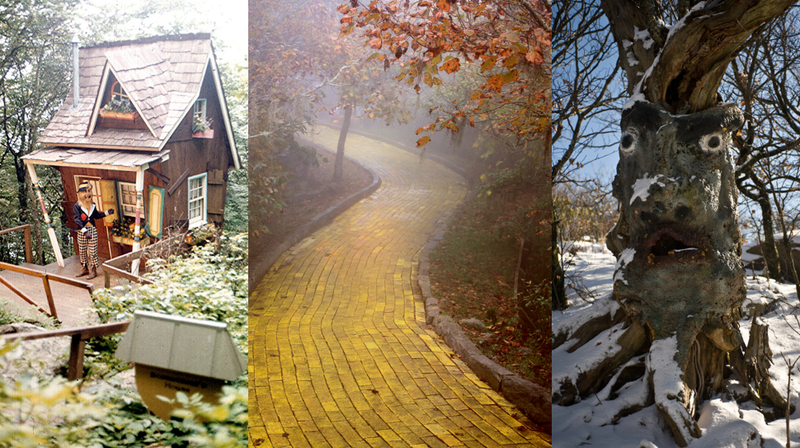 The Land of Oz theme park was open from 1970 to 1980 and its opening day saw over 20,000 visitors. Guests enjoyed strolling down the Yellow Brick Road, and hanging out with the Cowardly Lion, Scarecrow, Tin Man and the Wicked Witch of the West. Afterwards, there was a show at the Emerald City, complete with a balloon ride, which was actually a modified ski lift. Visitors could enjoy a breathtaking view of the park amidst Beech Mountain's gorgeous scenery. Unfortunately the death of the original owner before the park opened and a mysterious fire in 1975 marred the initial success of the park and it closed suddenly in 1980. Now, the Yellow Brick Road is missing a few of its bricks, but most of the park is still there, albeit in various states of disrepair. Visit Geektown, USA for even more of America's weird attractions and abandoned wonders. Hit us up on Facebook and Twitter.